If you've got a longer slender nose, opt for a pair of sunglasses with a low bridge to take away any emphasis, helping balance your features better. No nose pads on your Burberry BE4173 sunglasses means you'll be able to adjust your sunglasses to your face despite its size and shape. These rectangular shaped sunglasses are ideal for people who want to add a look of seriousness to their everyday image. If you've got an oval-shaped or rounder face, these sunglasses are highly recommended as they help bring more of a balance to your face. If you're a relatively relaxed person with a relaxed style, you'll love this casual eyewear style that is versatile and practical at the same time. 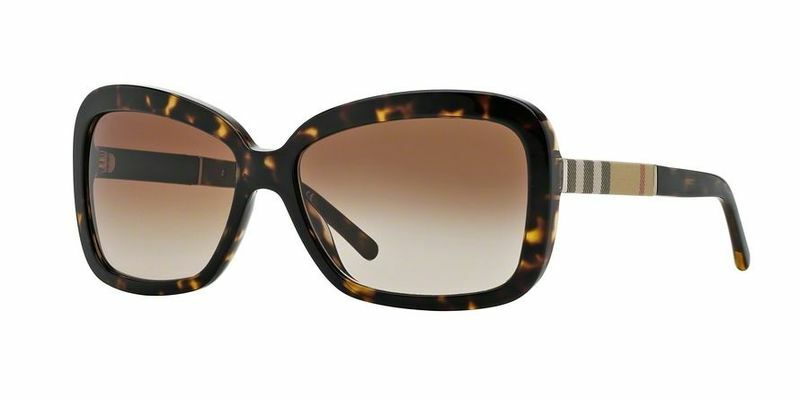 Add emphasis to the chin area with these stylish low temple Burberry BE4173 frames that will sit perfectly behind the ears.